Air. I needed air. I was gasping, but my lungs refused to take any in. Jasmine's world is crumbling around her. Still reeling from the discovery of her parents' identities, she is forced to face the repercussions of her actions in the Helian Realm, while her beloved home is besieged by Helian attackers. And she still can't control her powers. Roxy is confronted by the realisation that she has travelled across the Realms for a boy who thinks she betrayed him. A boy dating the girl who sold her out. And even while freezing in the Arcan Realm it seems she can't escape Cinaer's grasp. Time is running out for the girls to save the world - and the boy - they love. But to have any chance of defeating Cinaer, they are going to have to work together. Cinaer is on a warpath and he's not giving up until he has secured the Helian throne - even if he has to reduce the Arcan Realm to dust in the process. 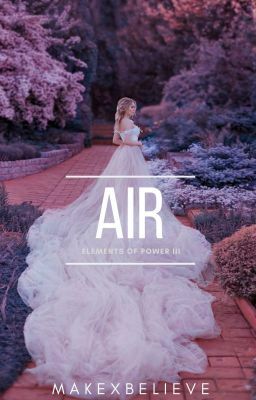 Air is the third novel in the Elements of Power trilogy. Please check out Fire and Water first, otherwise it might not make much sense!